Here we go again. PFGBest founder attempts suicide as $200m goes missing from Future’s Broker’s Accounts. The CFTC stands up with each crisis and claims it failed once again to PREVENT a fraud because it lack yet another regulation tool in its endless Swiss Army Knife. As the 2007 debacle unfolded, the CFTC, alongside the SEC, point the finger everywhere but in their own direction. The truth is, just look at any government agency you have to deal with. They are warehouses for morons. Even those who are not plain stupid have simply abandoned all reason for the security of a job that has no real requirements but to pretend to be doing something. I once bought a house from an IRS sale. It was a tear-down so I was buying the land. I suddenly found I could not get title insurance for one year. I asked: What was the problem? The response was you are dealing with the government. The IRS retains the right to change their mind up to one year after the sale. So, if I tore down the house and built what I wanted, the IRS could legally force me to tear down what I built, rebuild what I tore down, and then they would give me my money back minus local taxes. This was such a good deal, that it is the real reason why the prices are always dirt cheap at a government auction. You can never shake hands without having to count your fingers. In 1985 I retired from personal funds management in the United States after having to deal with the National Futures Association (NFA). The NFA came for their annual audit, looked at stuff that was clearly well over their head, and then said they would write us up for improper record keeping. What I asked what was “improper” and the response was our tabs on files were “pink” not “red”. I went through the ceiling. I threatened to sue them for plainly being stupid and they backed off and didn’t write us up for anything. The attitude was that everyone is wrong so just find something, write that up, and then leave. I was so frustrated with these people I announced we would no longer manage money in the United States period! I warned Congress that they were chasing everyone outside the country and the CFTC was totally unprofessional and a second-rate regulator compared even to the SEC. Every lawyer told me the CFTC hires lawyers who the SEC rejects. In 1985, the biggest hedge fund was $100 million. The CFTC stupidity chased everybody out giving birth to the offshore Hedge Funds. They tried to turn it around and said I felt we were too good for Americans. The truth: I do not suffer government fools very well. Here we are once again. The CFTC has NEVER prevented a single fraud EVER! 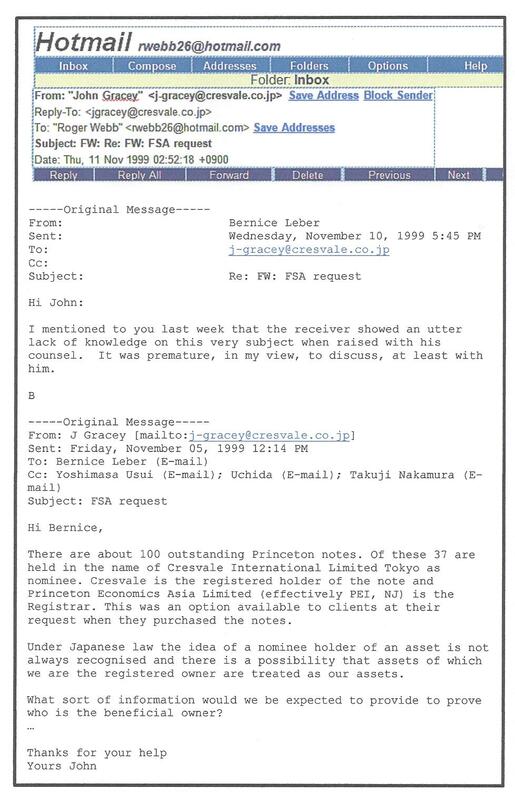 When PhiBro was clearly manipulating silver in 1993 and the CFTC walked in and said they had to tell them who their client was, they just said no! The CFTC then said – well you have to exit the trades. How come when Warren Buffett bought $1 billion in silver, far beyond the legal limit, they had nothing to say once again? 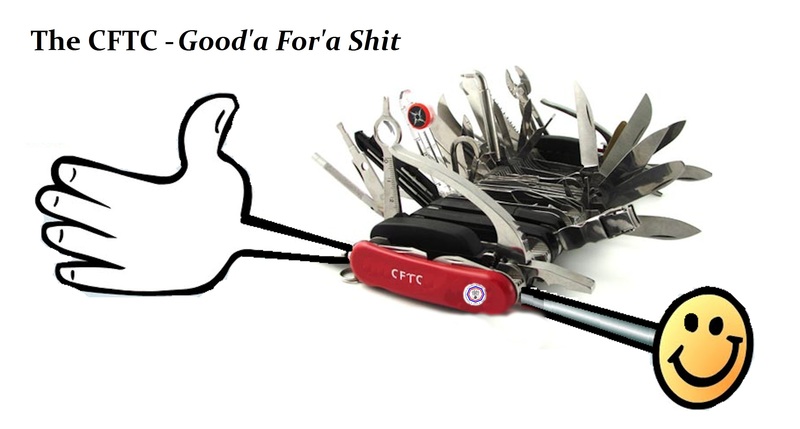 The CFTC only knows how to run to Congress and blame them for not giving them more tools in their Swiss Army knife to work with when they cannot even figure out what complex trades are even going on. Even Madoff bragged about how stupid government auditors were. In the instant case, Russell Wasendorf, Sr. was reported in critical condition in a hospital after the regulator finally issued an emergency order to freeze his brokerage operations that appears to be not much different than MF Global, which collapsed last year. Of course, Wasendorf will be criminally prosecuted – nobody at MF Global being a New York firm whereas Wasendorf’s US brokerage firm PFGBest is and Iowa firm. Wasendorf Sr, was a 40-year veteran of futures markets, who was found in his car near the company’s Iowa headquarters in a critical condition. The apparent suicide attempt came hours before the NFA as always, closes the barn door after the horse is gone. The NFA claims to have discovered that a US bank account the broker said contained $225m in customer funds actually held only $5m. Brokers under the CFTC can pool clients funds and trade with them. Before 1985, I would get a call from Drexel Burnham the NY US Attorney destroyed killing the last vestige of big firms based in Philadelphia. The prosecuted REFCO the big Chicago firm also in NYC and they tried to prosecute Frank Quatrone First Boston also in NYC. NY tries to destroy its competition in other cities by charging non-NY firms always in NYC. It has been a clever trick to consolidate the Financial Industry in NYC. The NFA announced: “It appears that PFG does not have sufficient assets to meet its obligations to its customers.” This news merely highlights that no matter how many tools the CFTC is handed with each crisis, they are incompetent as a regulator and should have been merged with the SEC from the start. It has been Congressman John Dingell of Michigan who has protected the CFTC at every turn. He has been in their back pocket and he has defeated every effort to merge the SEC with the CFTC and give American’s competent regulators. The United States is the only such country that had 7 separate regulators all with some jurisdiction over the credit-default swaps and yet not a single one saw anything wrong at any time. This is a bunch of the most incompetent agencies in history and it matters not how many crisis after crisis takes place, they will never get it right even once. In the case of Princeton Economics, once they discovered that a large portion of the notes had never been issued, what did they do? They issued the notes AFTER the case began and pretended they had been sold previously. Here is an internal email that has just surfaced on the issue. This demonstrates that when they are wrong, they cover it up and lie. This leaves the same question open – is America a safe place to trade with no Rule of Law or regulator?